Browse our lovely collection of lemon recipes, including Marcello Tully's lemon parfait, Simon Haigh's lemon meringue pie, Josh Eggleton's lemon posset and Nathan Outlaw's whole Dover sole with lemon and tarragon stuffing. Since its worldwide spread from the Asian continent, several lemon varieties have been developed, predominantly in sunnier climates, but even Britain has some hardier varieties that can thrive in containers. For now, the UK imports its lemons from all over the globe, particularly the Mediterranean countries such as Spain, Italy and Turkey, as well as South Africa, Belize, Brazil and Argentina. Both the juice juice and zest are frequently used in cooking, with the zest offering a greater punch of flavour through the oils in the peel. When zesting, purchase unwaxed lemons and avoid the white pith as it can be very bitter. Lemons and lemon juice are recurrent ingredients in fish and seafood dishes, with ceviche in particular using the acidity of the juice to marinate and ‘cook’ the flesh of raw fish. Robert Thompson applies this method in his ceviche of Cornish mackerel with a light horseradish cream. Fish and chips seem incomplete without a bright wedge of lemon, and Josh Eggleton’s traditional fish and chips recipe features a lemon tartare sauce to go with the fried fillet of haddock. 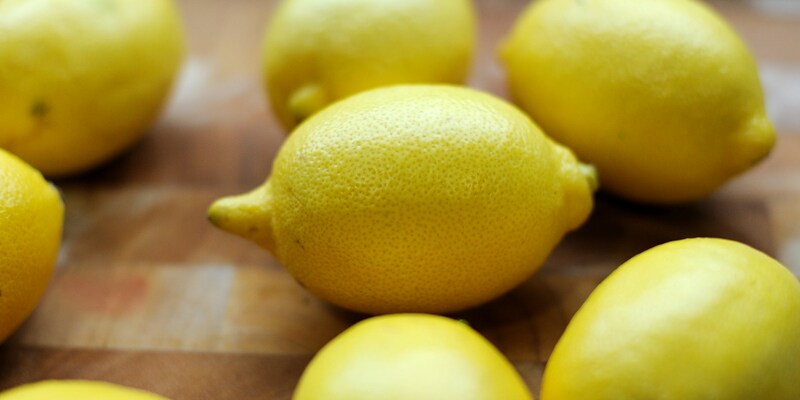 The vivid flavour of lemons are great for adding wonderful flavour to salads. Robert Thompson’s Buffalo mozzarella with peas, broad beans, mint, lemon and olive oil is a brilliant Spring starter or fresh lunch. The tangy taste of lemon is frequently used in cakes, biscuits and other desserts, as well as in classic cocktails and soft drinks. Lemon curd is a quintessential component of many puddings, and Geoffrey Smeddle uses it to create a lovely Autumn Eton mess. Matthew Tomkinson has a brilliant recipe for lemon posset with raspberries and shortbread, while Marcus Wareing has an inventive interpretation of the iconic British G&T in his gin and tonic granita.